Are you a business? Join Bridge. Bridge helps us share news, products, and files more quickly. Bridge is FREE for retailers, sales representatives, and brands. Wired’s Zeynep Tufekci argues that tech platforms (social media) will likely grow up much like the automobile industry did. 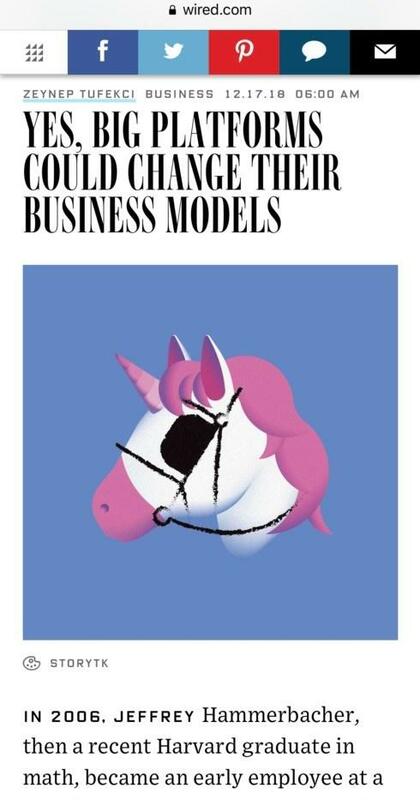 Ps- At first, I thought this was an illustration of a unicorn with a black eye. Ha ha. That would’ve been fitting, too! This chalk was auto-posted to your News page by the brand. This helps inform your customers and boost your Google ranking. If you wish, your can either edit or delete this auto-posted chalk. Also, you can turn off the auto-post feature on a per brand basis on the Brand Management page.